● Kyle Busch started third, finished eighth. ● The M&M’S Caramel driver started third but battled a loose racecar during the first 30 laps run of the race. ● Busch pitted on lap 32 following a competition caution on lap 30. Crew chief Adam Stevens made trackbar and air pressure adjustments in hopes of helping the loose-handling condition. 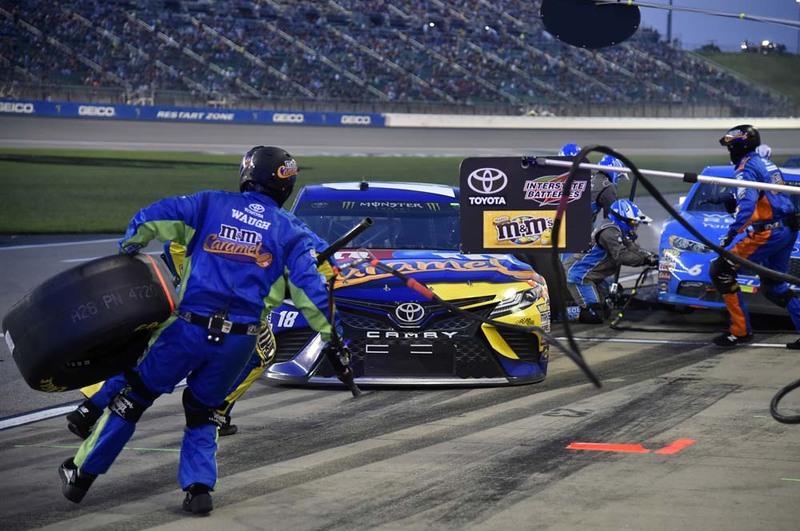 ● However, the change didn’t help the handling over the course of the rest of Stage 1, as Busch fell several spots and eventually finished the stage in eighth. ● Busch started seventh, finished fourth. ● The M&M’S Caramel driver pitted following Stage 1 on lap 84, taking four fresh tires and another wedge adjustment. 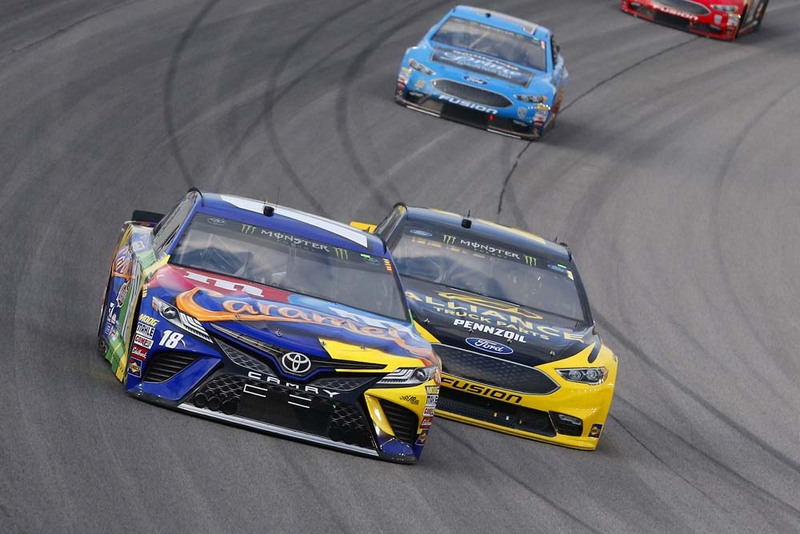 ● Busch restarted the stage in seventh and was able to move up through the field, finding himself fourth by lap 108, as the handling of his Camry seemed to improve as evening turned to night. ● Busch maintained the fourth spot through the end of the stage at lap 160. ● Busch started fourth, finished 10th. ● The 2015 NASCAR Cup Series champion restarted the final stage in fourth on lap 167. ● Busch lost the fourth spot to Joey Logano on lap 170, and also reported a vibration to the M&M’S Caramel team. 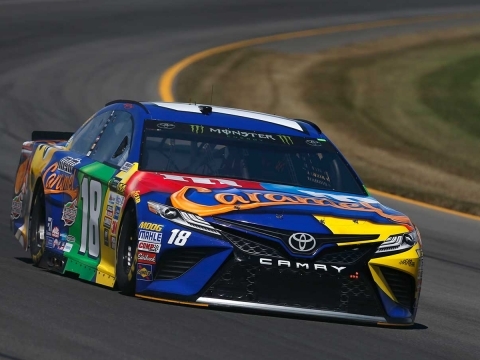 ● Busch had settled into fourth place for the final run to the checkered flag, but a caution came out at lap 237 that would change the complexion of the race. 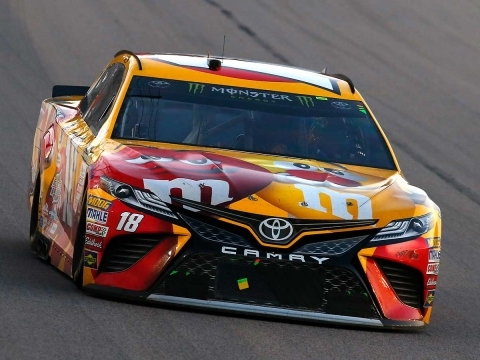 ● Busch restarted fourth after pitting on lap 239, but another quick caution made for a hard decision for the M&M’S Caramel team whether to pit with six laps on their tires or keep the track position. The team decided to pit on lap 249 with six cars staying out in front of the No. 18 and 10 cars coming to pit road, including leader and eventual race winner Kevin Harvick. ● There were two more restarts, and when the red flag came out at lap 253 for cleanup after an accident, Busch sat in seventh place. ● But on the final restart, Busch got trapped in three- and four-wide situations and fell to 13th with five laps to go. Busch was able to work his way by three more cars to bring home a 10th-place finish. 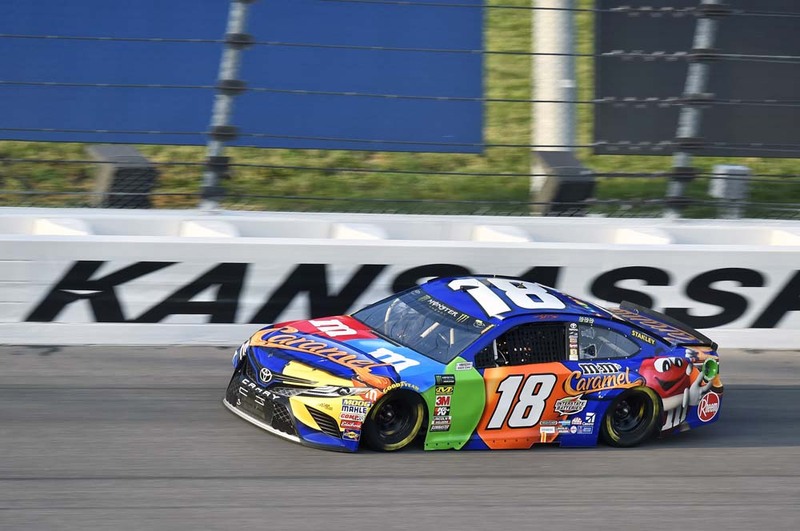 ● This is Busch’s ninth top-10 finish in 21 career starts at Kansas and his ninth top-10 in 12 races so far this season. Next Up: The next event on the Monster Energy NASCAR Cup Series schedule is the Monster Energy All-Star Race on Saturday night, May 19 at Charlotte (N.C.) Motor Speedway. The race starts at 8:15 p.m. EDT with live coverage provided by FS1.